Recessed LED luminaire. A microprismatic diffuser ensures low UGR factor <19. Very slim body – only 10 mm. 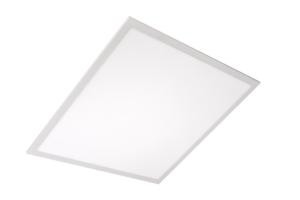 Standard: Frame colour – white, milky diffuser, non-dimmable driver. Options: any light and body color, Ra> 90, DALI system/other.